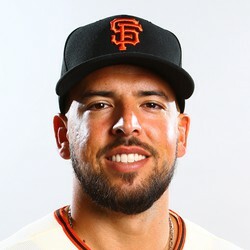 Chris Marrero played LF for the Giants on Friday night. Marrero finished the game with one hit, one RBI, one R, and one BB in three at-bats. Marrero has a batting average of .152 this season. While it is early, Marrero should remain on your season-long fantasy team.